Hey Everyone, So I desided to take a break from my 4-8-4s and started to do something different. I'm rebuilding the SP MT-1 4-8-2 model using components of other locomotives(Kit bashing). This is a model I plan to use in Railworks for a high end game recorded film I'm doing, if the original author of the original model parts allows, I'll put this up as Freeware on my website. Fantastic. One of my favorite engines. 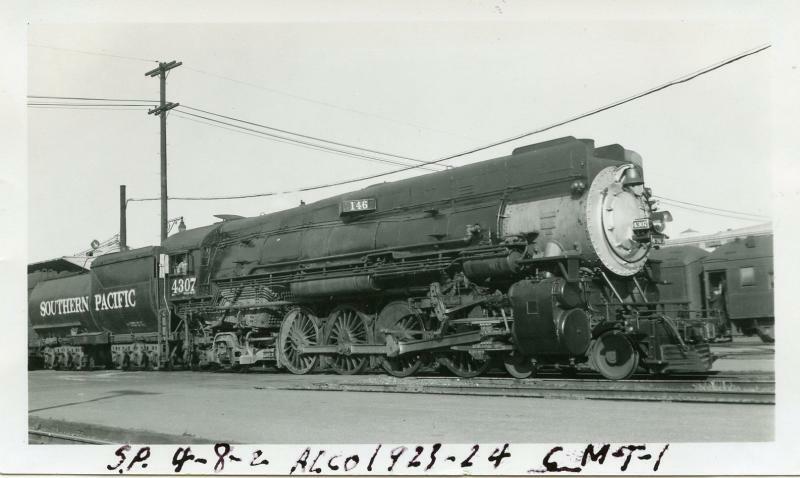 Do you have the book, "The 4300 4-8-2's, Southern Pacific's MT-Class Locomotives" by Church? An excellent resource. I don't, but I have the original drawing from the "Locomotive Cyclopedia of American Engineering - 1925" one of the best book my dad has ever inherited from his grandfather. Can't believe how much I've put into this model in just one day. Here's the last post for tonight. I'll post more tomorrow. Very nice representation, Logan. Are you going to paint it using substance painter? I'd be interested in that process if you could post some progress shots with descriptions. Finished the piping on the right side of the engine. Working on the left side. Last pic of the night.